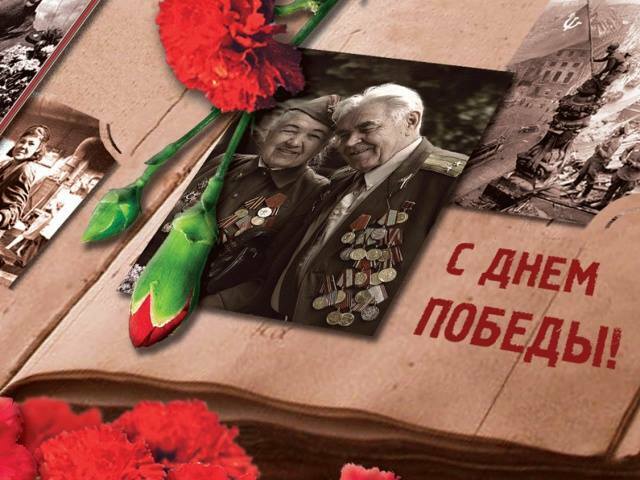 On May 9, Moscow parks will traditionally hold various public programs dedicated to the Victory Day: field kitchen, reconstruction of military events, vintage cars, workshops, film screenings, dancing, concerts, fireworks and, of course, honoring veterans. The Sokolniki Park has prepared a big concert program for the Victory Day. There will perform Valery Sjutkin, brass band Modern, singers Margarita Pozoyan and Pauline Zizak, Coffeetime band with war year’s songs, as well as participants of the Voice TV show. In addition, guests will be able to visit the museum of military vehicles and vintage cars, and see theatrical performances and flash mobs at the Fountain Square. The Pioner Cinema will show screening of films about war. 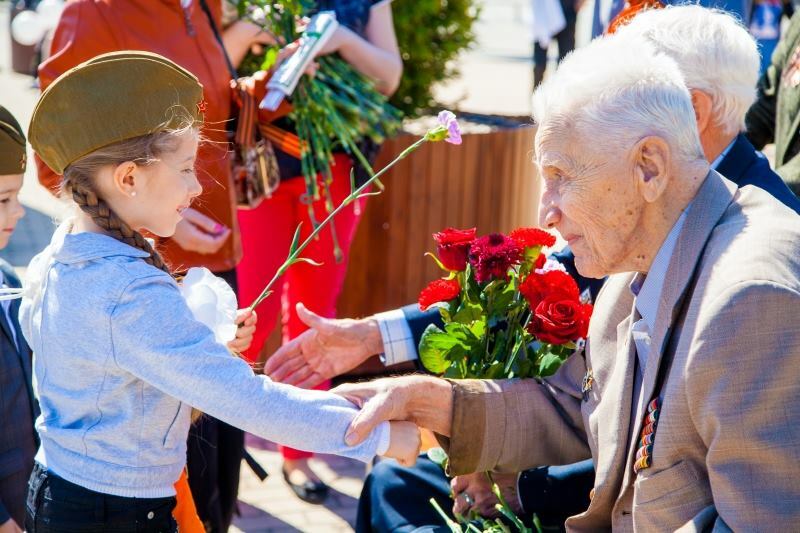 The Gorky Park will become a traditional meeting place for veterans and fellow soldiers on the Victory Day. Metropolitan graffiti artists will make a very special installation Wall of Remembrance in the park on that day. There will be organized an open-air exhibition with military vehicles and equipment, as well as a field kitchen with fresh hot porridge. All the veterans will get flowers and will be able to use free bicycle taxi. Guests of the Hermitage Garden will hear music by brass and military bands and see the performances of Voice. Children Show participants. By tradition, the park will host an exhibition of vintage cars and will run a themed photo zone. Children will be able to visit workshops and chess club. At 18:00, the Victory Ball «At six o’clock in the evening …», which will recreate the atmosphere of victory in May 1945, will begin. Military battles reconstruction and performances by the actors of Provincial Drama Theatre will feature the Victory Day in the Kuzminki Park. In addition, the park will host an exhibition of military equipment, where a ‘front’ photographer will work during the day. Besides, an ‘open microphone’ will be available for everyone to make a holiday greetings. Notes with wishes will be launched in balloons into the sky. 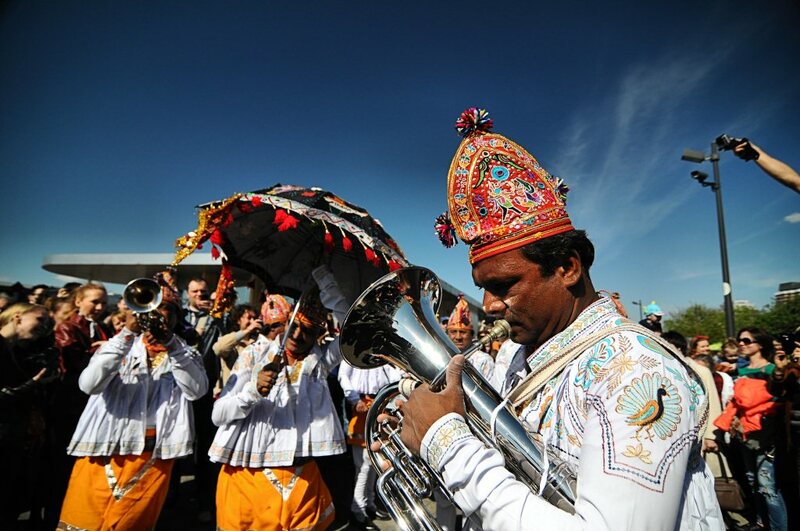 Muzeon will hold III International Marching Bands Festival on May 9. The most famous brass bands, such as ½ Orchestra, Mosbras, Brevis Brass Band and a special guest – famous brass band from Tel-Aviv Hoodna Afrobeat Orchestra – will take part in the festival. 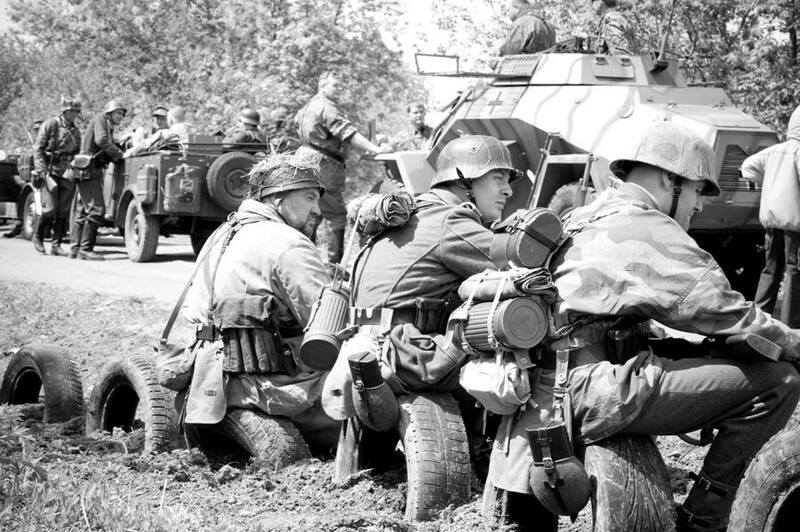 From 13:00 to 16:00, there will work a retro platform where waltzes and songs of the war years will sound. The creative workshop Kartoniya will offer making big paper flowers and peace doves with your own hands. Later there will be a parade along the embankment with the marching orchestras. 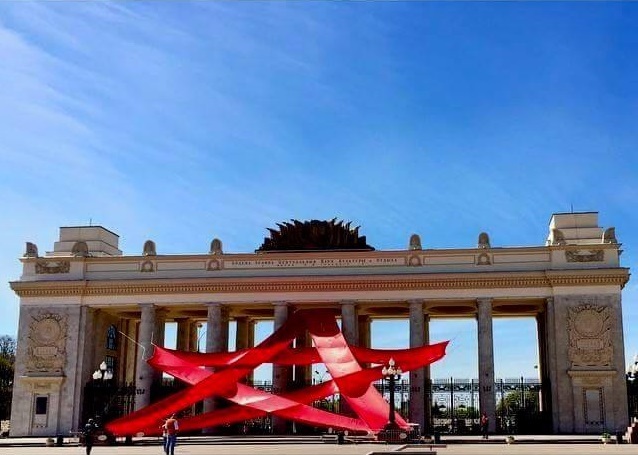 Poklonnaya Gora is the traditional place to celebrate the Victory Day in Moscow. 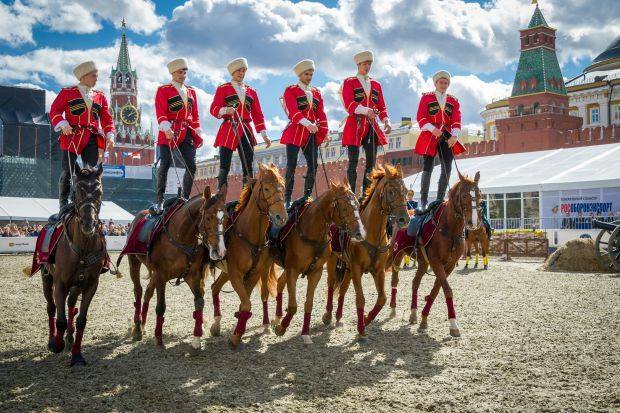 Thus, on the holiday’s eve, May 8, there will be held the final of the city-hero rally and military equipment exhibition and the Kremlin riding school show. On May 9, guests of the park will see the broadcast of the Victory Parade. The traditional concert of the XII Moscow Easter Festival, under the direction of Valery Gergiev will begin at 14:00. The whole day there will sound songs of the war years within the Musical Quarter Festival. 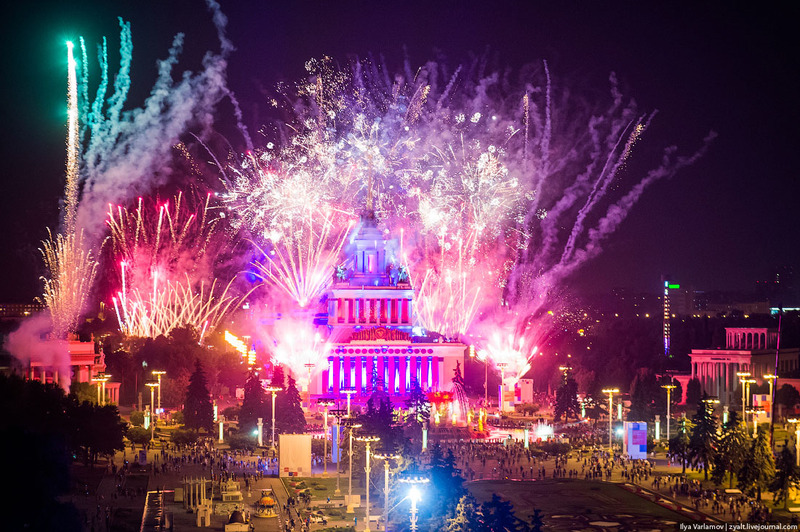 Great fireworks will become the culmination of the Victory Day celebrations. The main event of the Victory Day celebration at VDNKh will be Dmitri Hvorostovsky’s concert at the Central Pavilion №1. The singer will perform songs of the war years with the orchestra under conductor Constantine Orbelian. On the same day at the Green Theater Tchaikovsky’s Symphony Orchestra will present a program with opera stars. If you are not interested in music, you can visit pavilion of the Polytechnic Exhibition Center, where the exhibition Non-military Equipment will turn into a backdrop for the Liquid Theatre troupe performance, devoted to human rights during a war.